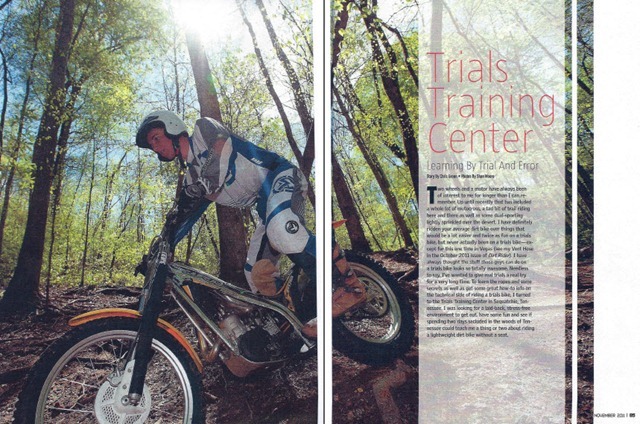 The TTC is featured in the Nov. 2011 issue of Dirt Rider, in an article by Chris Green (photos by Shan Moore) titled Trials Training Center: Learning by Trial and Error. 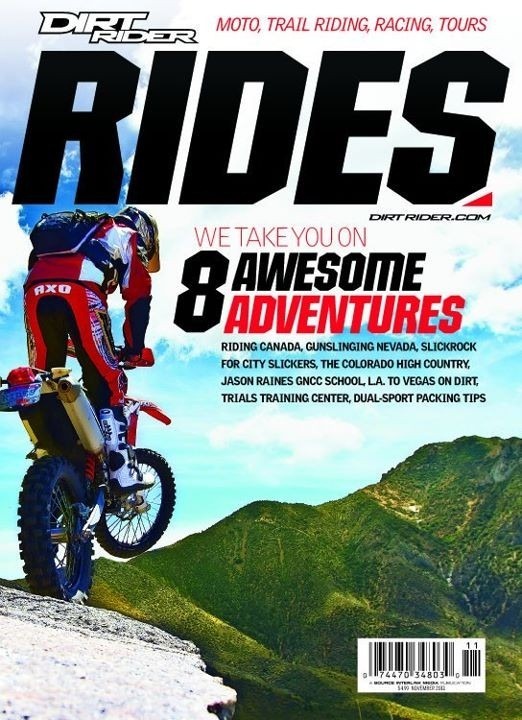 The issue is also available online to those with a Dirt Rider digital subscription ($9/year). 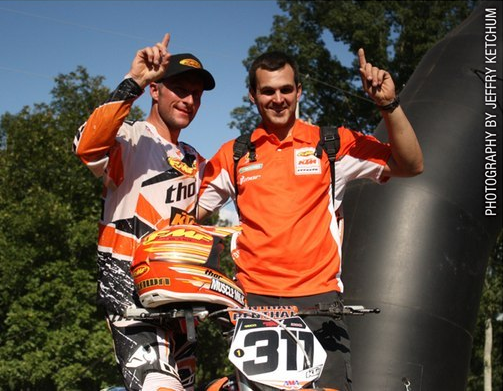 You can follow Dirt Rider magazine on Facebook and on Twitter. The boss of this operation goes by the name of Charlie Roberts, and he serves as the resident instructor. 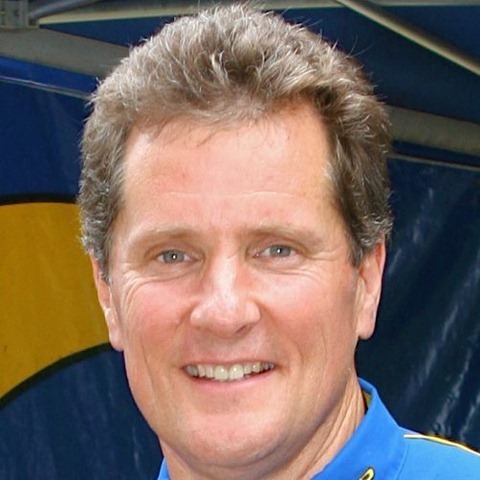 Charlie knows a thing or two about the sport of trials, and having hosted the World Trials Championships a few times at his venue, he has seen the best get it done the right way. You’re getting some of the best terrain there is when you visit the TTC, not to mention the beautiful scenery and the old-school log cabins in the middle of the woods that give you the true feeling of an off-the-grid motorcycle camping trip. The land at the Training Center offers a wide variety of terrain with a ton of exciting natural obstacles such as logs both huge and tiny and rocks of intimidating sizes as well as the easier ones, which I spent most of my time on. Dry creek beds with scattered rocks wind through the area like the freeways in Los Angeles. There is even a cool flowing creek that runs through the property with fallen trees laying across it that are possible to be ridden by the daring. The bottom line is you won’t get bored here, just bring your imagination and throw together some creative lines. 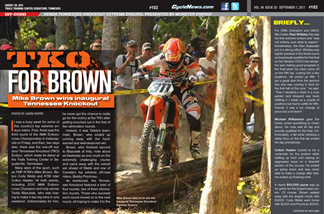 Brown led every lap of the final. He blasted to the front right off the start and opened up a small lead. 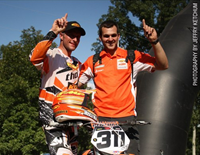 Knowing any small mistake could mean disaster Brown rode conservatively and chose his lines carefully every lap. Webb, however, had nothing to lose and went after Brown. The Beta rider had fallen in the first turn and was hammering it around the course. His aggressive riding style carried him right up to Brown late in the race. But when he was within striking distance on the last lap, Webb tipped over, which was just enough to give Brown some breathing room and eventual win. The weather was expectedly hot and sticky, and the brutally rocky terrain and dust made for a tricky course in and around the surrounding canyons and hills of the TTC. The format for the race was creative, with both a long loop and a shorter course being utilized to pre-select a field of amateur racers and narrow down the stacked field to 25, and then finally ten, top racers. After multiple rounds of qualifiers, the TKO main event took place on the unbelievably difficult short course, which was approximately five minutes in length. 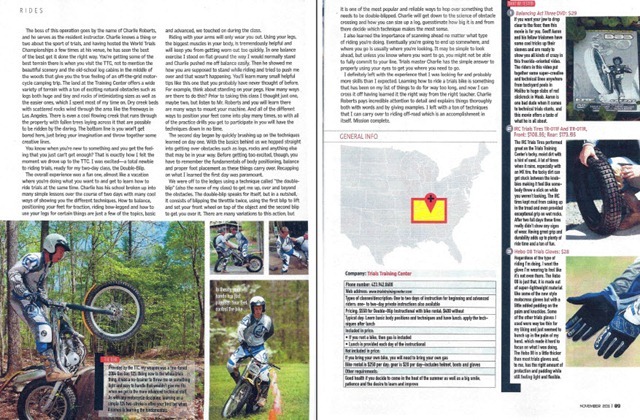 Other publications ran the press release of the results, including Trials and Enduro News, Dirt Bike, and Digital Offroad. If you know of other coverage, let us know!